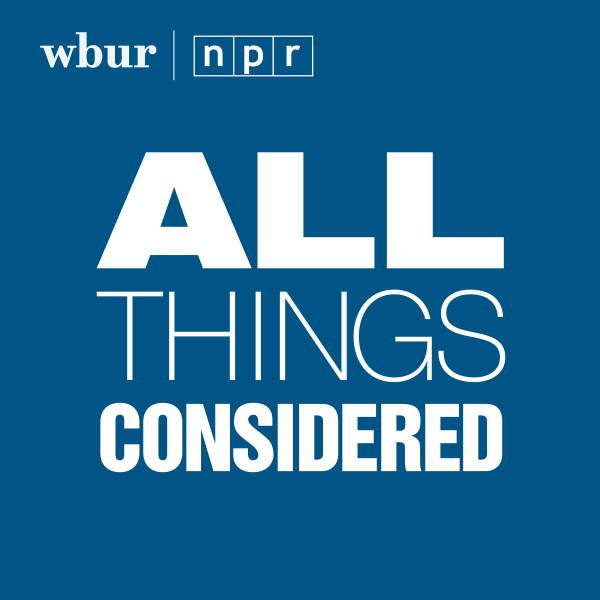 The New Hampshire Supreme Court recently honored slain journalist James Foley for his bravery promoting human rights. Foley was held captive and murdered by the Islamic State group in 2014. His mother now leads an organization that advocates for the safe return of Americans captured or detained abroad. Diane Foley, president and founder of the James W. Foley Legacy Foundation, says it's "busier than ever." "There are more and more U.S. nationals being taken hostage or unjustly detained around the world," Foley (@dmfaprn) tells Here & Now's Robin Young. "It's primarily a rather silent crisis." 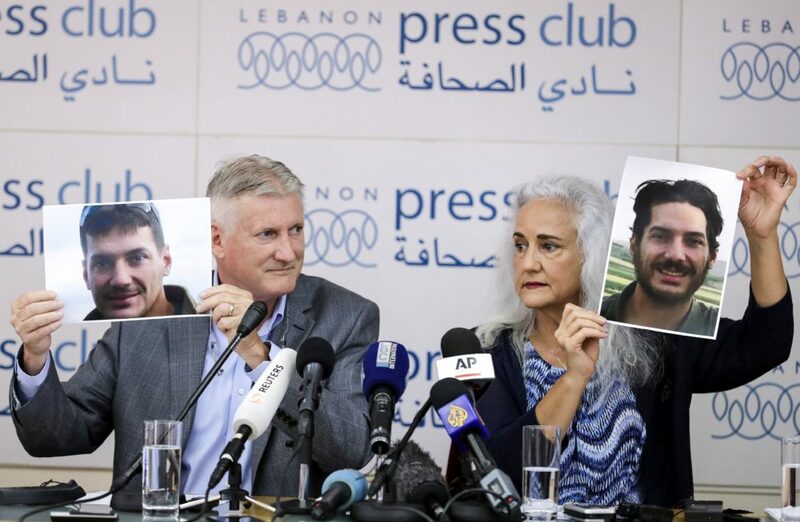 One of those missing Americans is Austin Tice, a Marine-turned-journalist who disappeared while reporting in Syria in 2012. Federal officials recently said they believe Tice is still alive and being held there, six years later. "There's nothing definitive, but most everything points to the government, the Assad regime, holding him. And he of course has kept people for years," Foley says. "So that's partly what makes the family and all of us hopeful that with the right type of negotiation and persistence, that he can be in fact freed." "That is part of our advocacy work. I feel it's very important to engage with the [FBI Hostage Recovery Fusion Cell], the [Special Presidential Envoy for Hostage Affairs] and periodically with the White House Hostage Recovery Group. Because bringing Americans home is a very complex issue, particularly depending on who the captor is, if it's a government or a terrorist group, criminal gang — all of those different entities make a difference." "My goal is that our country will make the return of our Americans a priority." "Robert Levinson, for example, now 11 years, [he was] last seen in Iran. The Princeton graduate student [Xiyue] Wang, a brilliant young man there on special educational visa studying, and arrested." "My opinion is that they know where he is. I feel a lot of governments such as Iran use people as tokens. That's what a hostage taking is all about. It's about gaining some sort of an advantage over another. And unfortunately, with countries like Iran and North Korea, they use hostage taking as a ploy against our citizens, really. It's more about our government, as in the case of our son Jim. "Jim certainly was not doing any harm to the people who kidnapped him. But because he was an American, he represented any hatred or untoward feelings that those captors had towards our country. So a lot of times our citizens are in fact targets because of political policy, political opinions, dissension, that sort of thing." "Jim challenges me, in a big way. Jim was an incredibly special young man. I truly don't think I realized what an amazing man he had become. But I failed in bringing him home, because I was clueless. I had no idea how any of this worked. So after he was killed, I have been challenged to do all I can do to help other families in this situation, because it is an incredibly frightening, lonely, panic-filled time for people, and I think [it is] something very important for our country to have the back of brave young Americans who go out in the world — be they journalists, humanitarian workers, educators or businessmen. My goal is that our country will make the return of our Americans a priority." "That's a very good question. I did not do that, I was deterred from doing that ... by friends and the government. I can understand their need to do that, and I do think it definitely puts pressure on the captors. I guess I can look at our situation: I went to the media hoping that awareness of Jim's situation would make a difference. But perhaps that makes a captive more valuable to those who've captured them, and that's what I was told at that time. 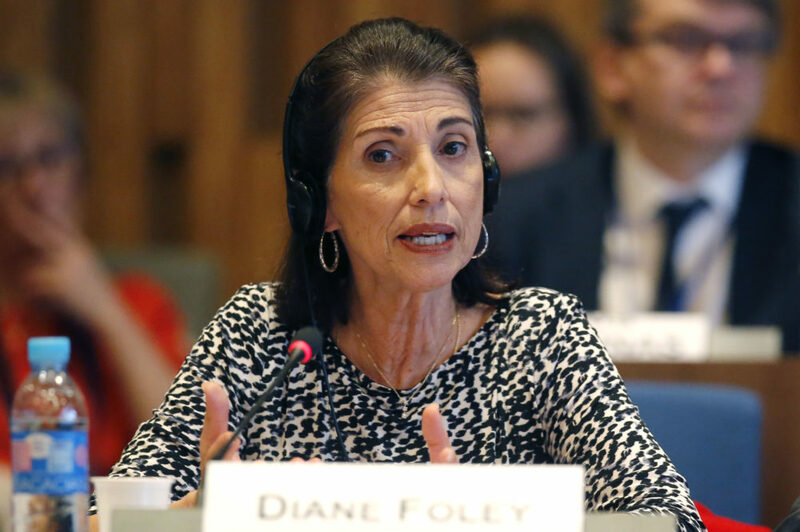 "So part of what the Foley Foundation is trying to do is to figure out some of this, and figure out, what are the best strategies? Because at this point, I don't feel that we really know. In 2015 this new structure was set in place by President Obama's presidential directive. So we now have [the Hostage Recovery Fusion Cell] whose mission it is to bring Americans home. But we don't yet know how effective that is going to be. Is that in fact the best way, or is it more effective through a private security group, or a family's plea? We really don't have answers for that, but that is part of our goal, is to make that something that we can at least offer better advice to families in this horrific situation." 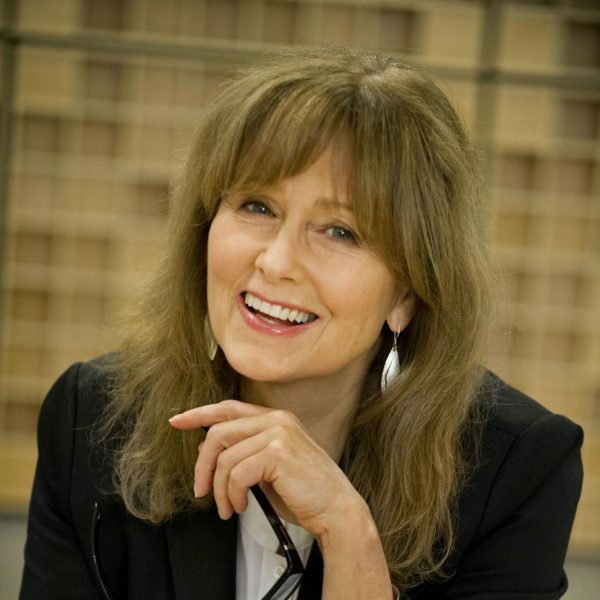 Karyn Miller-Medzon produced and edited this interview for broadcast. Jack Mitchell adapted it for the web. This segment aired on November 29, 2018.